Chapter 1 - Stepping Out - "A new beginning"
It’s been three years since Hey Kitty launched, and a lot has changed since then. For one, the amazing Shen is now the visual artist putting images to Fox’s words. So what’s this chapter 1 thing? 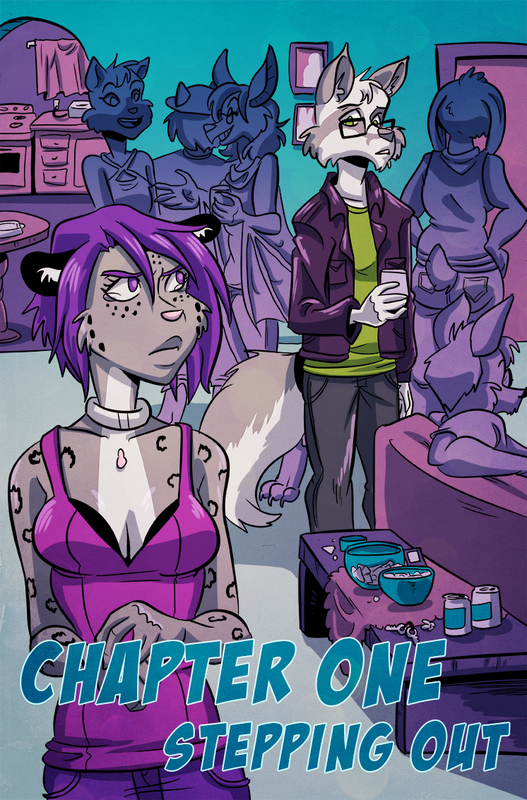 We are going to be retelling chapter one, in part to replace the old art, but also to expand a bit and make sure that Hey Kitty can stand alone even if you haven’t ready any Hey Fox. Is this going to replace my weekly Hey Kitty story? Nope! These new pages are going to premier over on the Hey Kitty Patreon. Aw, I don’t want to pay for them! What about Kitty and Heather? That was getting really intense! Don’t worry, They’ll be back next week! So… Maybe i don’t know of something important here but is the comic starting from the beggining or what? You’re not really missing anything important, just a little inside history. Hey Kitty first launched with an “April fools” announcement on Hey Fox that it had changed to Hey Kitty… But then, that Hey Kitty was, in fact, it’s own comic. Fox (Grey): Just Fox to his friends, Gabrial Fox is technically Kitty's owner. He’s kind of oblivious, but luckily, he has good friends, and a caring anthroid.